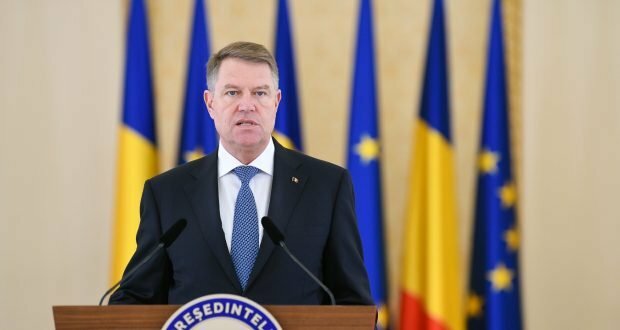 In a press conference at Cotroceni presidential palace on Monday, President Klaus Iohannis has launched new accusations against the Social Democrat Party, saying it is ruling through emergency ordinances and that this procedure must be regulated. He also announced he will definitely call the referendum on May 26, as „this can’t go anymore’. „We’ll have a referendum on May 26. It is well known that the PSD ruling has failed. The promised hospitals exist not even on papers anymore, while highways are lost through the ministry’s drawers, and the economy is hurting because of the PSD experiments”, the head of state pointed out. „The worst is that the PSD’s assault against the justice is never-ending. They wanted to pass the amnesty and pardon. They still want amnesty and pardon for corrupt. I cannot accept that,” Iohannis added. He slammed the repeated emergency ordinances, arguing they are adopted „in a non-transparent manner”, lacking clarity and previous consultations. „I decided that the Parliament should be again consulted on expanding the scope of the referendum, in order to make it more efficient and stronger. I warn the Government to stop issuing emergency ordinances on judiciary, criminal law until the people voices its opinion, until the sovereign will of the people is known”, the head of state stressed. The Romanian President also announced that he will call all political parties for talks on the referendum topic. 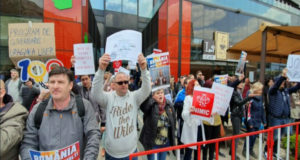 In retort, Social Democrats urged President Iohannis “to stop using the Justice as an electoral crutch in order to replace the lack of any achievement in his presidential mandate” and to announce the question that he wants to address within the referendum of May 26. At the same time, the ruling party argues that this new consultation of the Parliament “must be probably a joke on April Fools’ Day, saying the Parliament has been consulted on this topic before, two years ago, and PSD MPs voted in favor of a referendum back then. The Social Democrats accused President Iohannis again that he just wants “to divert the voters’ attention” from such topics as economy and the Romanians’ incomes to justice-related issues. 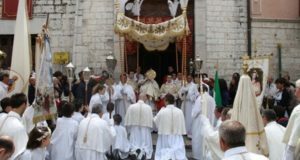 “It is obvious that Iohannis is using the Justice like an electoral Trojan horse to distinguish himself in the voters’ conscience to determine a vote in his favor and in the favour of the party that is endorsing him. It is a gross attempt to manipulate the electorate“, reads a PSD press release.